Studio Carry On Harry Talk Show host Harry Johal invited guest martial artist and book author Matt Powell to discuss his system of developing Mind and Body through his founded Martial arts SYSTEM PRAM EK and his book UNDO. Living in Atlanta, GA. Matt is a well-known innovator in the martial art and fitness world. Best known for founding and leading an international training organization, PRAM EK, for over a decade, Matt has taught thousands around the world while maintaining a leadership role in corporate America, giving him a unique view on life, science, health and fitness, and business. 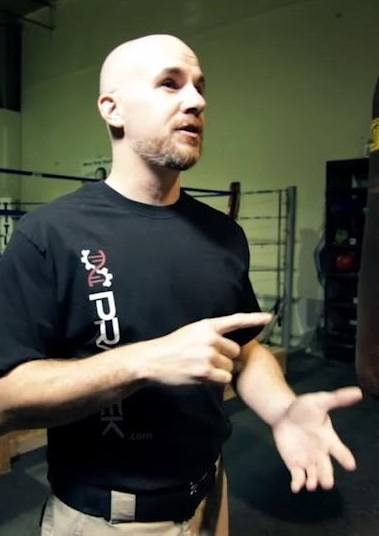 Matt has filmed over 200 instructional videos on martial art, fitness, and the science of learning. Authoring five trend-setting books on learning science, his programs are followed by schools around the world with more than two thousand readers of his blog every month. His articles are featured in a variety of magazines and online blogs and is a valued guest on numerous podcasts. From humble beginnings to becoming an internationally known teacher, Matt's path to mastery has been hard won. From little known martial art schools in the former-Soviet Union to corporate board rooms of major corporations, Matt's focus has remained on helping others live and thrive. For nearly two decades Matt has focused on how to create daily methods of success from the sciences of learning and the human mind. This has led to the development of an international organization with followers and researchers around the world. This gained Matt valuable insight into the challenges of learning, success, and achieving goals for students ranging from military special forces units to celebrities to industry leaders. Matt brings these lessons in mental and physical health in a unique format to students around the globe. Over two decades of teaching thousands around the world, Matt knows how to teach and motivate, think better under the stress of every day life, improve and grow and created success. That's what his latest book, UNDO: How to Undo the Past and Plan Your Future, and new website Pastless.net are all about. With each he expands and adapts his martial art teachins and understanding to focus on personal growth. With UNDO Matt expands on the vast parallels between training room and real life to change people's lives, not just martial arts students, but anyone who wants to improve their thinking, their personal growth, their lives and the lives of those around them. Succeeding in the future means undoing the ties of the past, and in Matt's newest book, UNDO, he tackles the question of how to undo the past and succeed in the future in a way only he can. Drawing on lessons learned from teaching thousands around the world and developing an entirely new martial art, Matt lays out the roadmap to success. Over 70 pages of an indepth step-by-step process with a follow along 40 page workbook, UNDO walks the reader through setting goals, finding the 'why' of their failure, fixing the 'why', and then creating a path to achieving future goals.